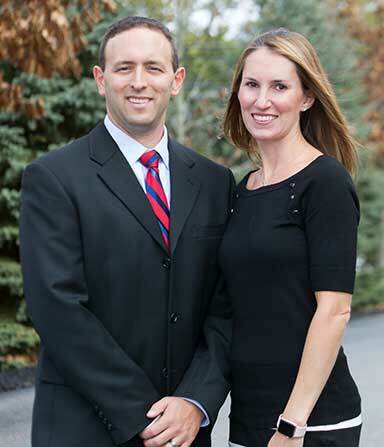 Doctors Keith and Courtney Dressler purchased the practice from Dr. Alan Haroian back in the beginning of 2014. They are continuing the same vision of putting their patients first and delivering the best, most comfortable and comprehensive care they can with state of the art technology. Dr. Keith Dressler received his Bachelor of Science degree in Biology from Providence College in Providence, RI in 2001. He then received his dental degree from the University of Connecticut School of Dental Medicine in 2005. Upon graduation, he received honors in Oral and Maxillofacial Surgery, Restorative Dentistry, Prosthodontics, and community service. Dr. Dressler then did a one year internship in Oral and Maxillofacial Surgery at the University of Connecticut and Hartford Hospital. He is an active member of the Salem Dental Society, the New Hampshire Dental Society and the American Dental Association. Dr. Dressler is also a member of the Granite State Study Club. As a pre-doctoral student, Dr. Dressler was a preceptor and teacher of head and neck anatomy for the first year medical and dental students. Along with three of his classmates, he created a trip during dental school to Belize to provide oral hygiene instruction, dental sealants, and dental extractions to people who could not easily receive these dental services. The trip has become a yearly mission trip for the University of Connecticut and since he has brought students back there on a larger scale. Dr. Dressler was born and raised in Rhode Island and spent the majority of his time playing competitive junior tennis at the local, national, and international levels. He later competed at Providence College in the Big East for his four collegiate years. He now enjoys playing tennis recreationally. Dr. Courtney Broughton-Dressler received her undergraduate degree in Biotechnology from the Worcester Polytechnic Institute in 2002. She then spent two years as part of a research team at Boston Medical Center studying Systemic Lupus Erythematosus. Dr. Dressler completed her dental degree in 2008, graduating with honors in Radiology and Pathology at the University of Connecticut School of Dental Medicine. She was also distinguished with two awards for her research on Multiple Sclerosis while in dental school. She then went on to complete one year of post-graduate training at Hartford Hospital allowing her to offer comprehensive treatment to patients of all ages and disabilities. Dr. Dressler is an active member of the Salem Dental Society, New Hampshire Dental Society, and the American Dental Association. She is committed to continuing her dental education in order to better serve her patients. She regularly attends seminars and information sessions to stay up-to-date on the latest technologies, procedures, and materials. She takes part in the Granite State Study Club as well. Dr. Dressler is a native of Hampstead. She spent the majority of her youth competing as a nationally ranked Irish Step Dancer. She then went on to start the first women’s rugby club at her college. She still enjoys attending Irish festivals and rugby games in her free time. Doctors Keith and Courtney have 2 daughters: Kaelyn and Madelyn. They enjoy spending time up in Southern Maine when they are not in Hampstead.